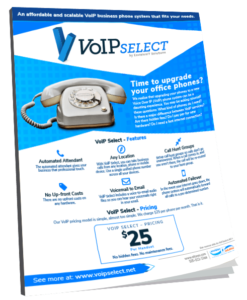 Download the VoIP Select Information Sheet here. Need a downloadable .pdf of the some of the basic information about our VoIP Select phone service? An affordable and scalable VoIP business phone system that fits your needs. We realize that upgrading your phones to a new VoIP phone system can be a daunting experience. You may be asking yourself these questions: What kind of phones do I need? Is there a major difference between VoIP phones? Are there hidden fees? Do I pay per phone? Do I need a fast internet connection? If you have been in business for very long at all, you’ve probably heard rumblings from people about a phone technology that uses the internet instead of a traditional phone line. 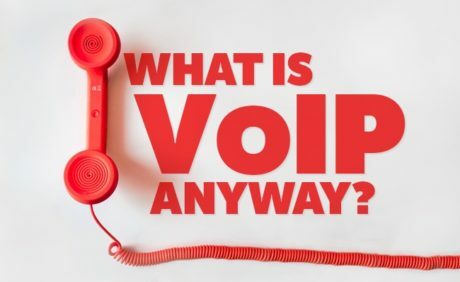 Voice Over Internet Protocol (VoIP) has actually been around for quite some time, but is just now making big waves in the business community. VoIP enables businesses to combine voice and data into one unified infrastructure with less to maintain. Why is VoIP such a big deal these days? Businesses with employees in multiple locations have found that VoIP enables them to connect through a single system rather than through multiple sources and a variety of systems – and dial each other using direct extensions – meaning fewer buttons to remember and push. Employees who work remotely or travel are able to stay connected using a single system. One of the key reasons why businesses choose a VoIP solution is because they have remote/home workers or multiple locations (local or worldwide). VoIP systems enable your entire communications network to be streamlined, operating from a central point, drastically reducing or eliminating the challenges that can arise from traditional communications systems. This is a great question. Although a VoIP phone system is great and someday in the future will be more common than traditional phones, not every business is setup for a VoIP phone system. 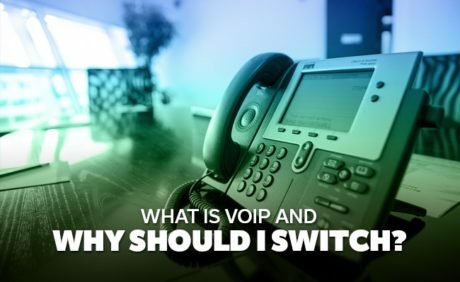 There are some technical aspects of the VoIP phone system that will need to be discussed before you switch to VoIP. Curious if your business is ready for VoIP, sign up for a FREE VoIP Assessment to find out. The automated attendant gives your business that professional touch. With VoIP Select, you can take business calls from any location, phone or mobile device. Use a single unified phone number across all your devices. Setup call hunt groups so calls don’t go unanswered. When a call comes in, and you aren’t there, the call will be re-routed to your hunt group. There are no upfront costs on any hardware. VoIP Select includes a voice-to-email audio file so you can hear your voicemails right in your email. In the event your internet goes down, the phone system will automatically forward all calls to a pre-determined number. Our VoIP pricing model is simple, almost too simple. We charge $25 per phone per month. That is it. No hidden fees. No maintenance fees. If you have been in business for very long at all, you’ve probably heard rumblings from people about a new phone technology that uses the internet instead of a traditional phone line. This blog post should help you to understand some basics about VoIP. Long gone are the days where business owners are required to pay by the minute for long distance phone calls. Today, Voice over Internet Protocol (VoIP) has replaced the traditional phone system and introduced a wealth of solutions to make business easier.